Colin Worton, whose brother Kenneth was one of 10 workmen shot dead in Kingsmill in 1976, has revealed that his 90-year-old mother has been getting abusive phone calls referencing the massacre. Mr Worton was speaking to Sean O'Rourke on RTÉ Radio 1 about the continuing fall out from the controversial tweet by Sinn Féin MP Barry McElduff over the weekend. 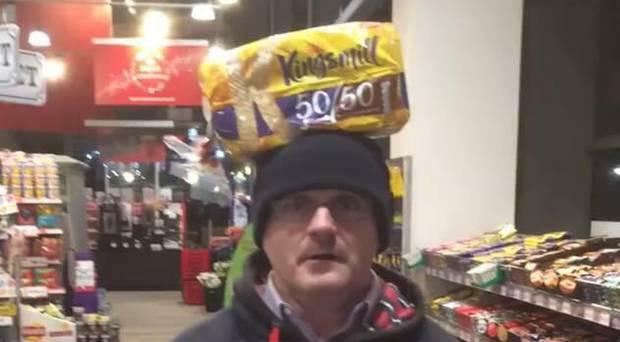 The tweet showed the MP in a shop with a loaf of Kingsmill on his head. A screenshot from the video posted to Sinn Fein politician Barry McElduff's timeline. "My mother has been getting abusive phonecalls," he said. "Sickening phonecalls referring to the Kingsmill massacre. "They rang my mother up and were asking her if she had any Kingsmill bread. Saying they were a few slices short and they needed it for toast. A woman in her 90s. She's a great-great-great grandmother." When asked by Sean O'Rourke if the matter had been taken to the PSNI, Mr Worton said: "She is the sort of woman who wouldn't want to. She will live with it and try and get through it." Mr Worton went on to say: "I thought it was very hurtful to hear uneducated persons, for whatever means, ringing up a 90-year old lady, the head of five generations, to make her feel bad." Speaking to Newstalk Breakfast yesterday, Mr Worton described Mr McElduff's apology as "not sincere and not from the heart" and said the three-month suspension is merely a "paid holiday." Mr McElduff said he accepted the sanction imposed by the leadership. However, he insisted the contentious post was not meant as a reference to the sectarian murders of 10 workmen at the village of Kingsmill. 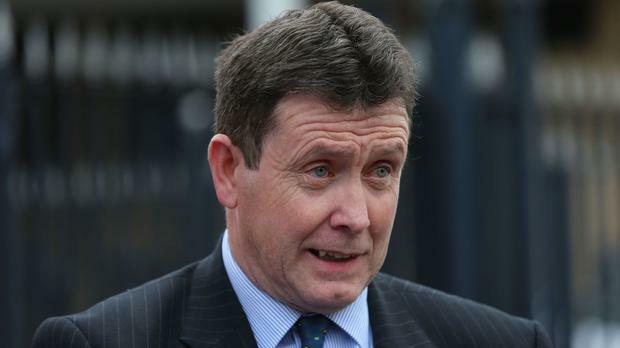 "Although I genuinely meant no offence, I accept that my actions were ill-judged and, while unintended, caused deep and unnecessary hurt and pain to the Kingsmill families," he said. Yesterday, she said he is “contrite” and that Sinn Féin has disciplined him. “It is very clear that we do not tolerate behaviour like that,” she said, speaking on RTÉ Radio’s News at One on Tuesday.